In a dingy shack in the less-than-desirable Indian neighborhood he calls home, twelve-year-old Anand is entrusted with a conch shell that possesses mystical powers. His task is to return the shell to its rightful home many hundreds of miles away. Accompanying him are Nisha, a headstrong but resourceful child of the streets, and a mysterious man of indeterminate age and surprising resources named Abadhyatta. His quest will take him farther from home than he's ever been and will teach him more than he ever imagined -- and it will force him to make a poignant decision that will change him forever. 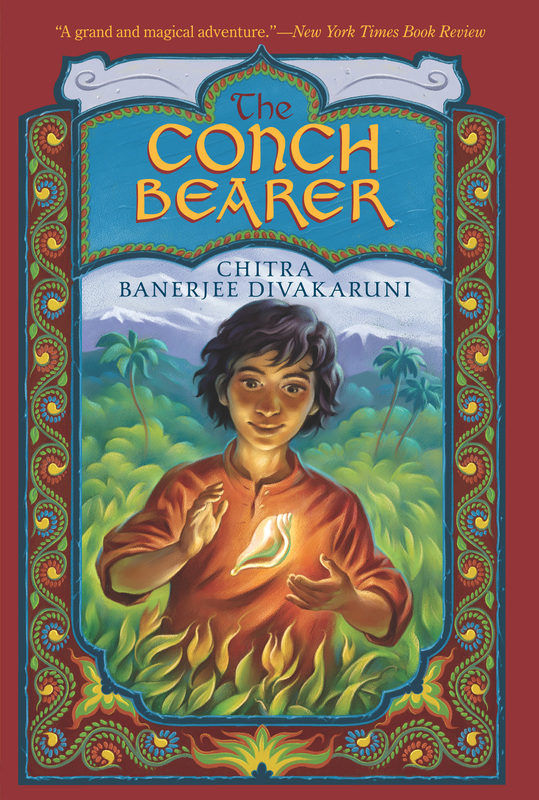 The story of The Conch Bearer begins on the teeming streets of modern-day Kolkata, India, where twelve-year-old Anand lives in a dingy shack with his mother and sister, Meera. Anand is captivated by stories of magic and the opportunities he believes it could create -- if only magic was a reality. However, everything begins to change when Anand meets Abadhyatta, a mysterious man who turns out to be a member of the magical Brotherhood of Healers. Abadhyatta recognizes something special in the boy and entrusts him with a conch shell that possesses mystical powers. Anand's task is to return the shell to its rightful home with the Brotherhood many hundreds of miles away -- across arid plains and turbulent rivers, past powerful spirits and fantastical creatures, and finally into the secret Silver Valley, high in the Himalayas. Accompanying them is Nisha, a headstrong but resourceful child of the streets. What follows is a series of quests and battles against the dark and powerful forces of evil-minded Surabhanu, who was exiled from the Brotherhood years before. Though Anand experiences doubt, fear, and sadness throughout his journey, his unrelenting desire to achieve his mission is stronger than the evil he is confronted with. Anand's quest will take him farther from home than he has ever been and will teach him more than he has ever imagined. When he finally reaches the gates of the Silver Valley, Anand faces the greatest challenge of all -- the decision to either return home to his loving family or to become an important citizen in the world of magic. The Lonely Planet World Guide says of India: "Nothing in the country is ever quite predictable; the only thing to expect is the unexpected." Ask students to use books in the library or sites on the Internet to find a brief description of India. Then have them write an interpretation of the above quote. Why is India a perfect setting for a work of fantasy? • Anand wishes for a magic apple to make Meera better, and to bring his father home. His mother reminds him that magic only occurs in storybooks. Discuss what Anand learns about magic as the story unfolds. How does magic help Meera at the beginning of the story? How is Anand indirectly responsible for Meera's healing? Does his mother's attitude toward magic change after Abhaydatta's visit? How? In what ways does magic help Anand on his quest? Discuss the limitations of magic and its relationship wish wisdom, understanding, and courage. Which of these gifts proves to be the most important to Anand on his journey? • Family and family life are very important in India. How does Anand's feelings for his family almost keep him from going with Abhaydatta? Why does his mother allow him to go? Debate whether his mother expects him to return. Discuss the decision to leave his family for the Brotherhood at the end of the novel. Explain how the Brotherhood of Healers becomes a family to Anand and Nisha. • Anand is working at the tea stall when he first notices Abhaydatta. What draws his attention to the old man? How does Abhaydatta know that Anand has the desire to enter the secret domain of the world of magic? Discuss the role of the conch in leading Abhaydatta to Anand. • Discuss the relationship between courage and fear. What gives Anand the courage to go on the journey with Abhaydatta? At what point does he doubt his decision? How do his doubts feed his fear? Discuss Anand's most fearful moments. What gives him the courage to fight the evil forces and continue his journey? • Why is Abhaydatta willing to take Nisha, the sweeper-girl along? Discuss her role in the story. What is she searching for? How is she a sidekick to Anand? There are times when Anand is jealous of the girl. When does he experience the most jealousy? How does he reconcile his jealousy? • Abhaydatta gives Anand the conch to carry. Why doesn't Abhaydatta want Nisha to know about the conch? Debate Anand's decision to disobey Abhaydatta and tell Nisha that he is carrying the conch. What is Nisha's reaction when she sees it? How does this reveal the difference between the two children, and their individual contributions to the mission? • How does Abhaydatta prepare the children for the danger that he is certain will come upon them? Why does he tell Anand and Nisha the Tale of the One-Eyed Deer? • Anand and Nisha encounter the evil forces of Surabhanu, a former member of the Brotherhood who wants possession of the conch. How does Anand deal with the evil powers? Explain the conch's message: "It's a wise fool who knows his own folly." • Describe Anand's feelings when he discovers that Nisha has been admitted to the Brotherhood. Discuss what Abhaydatta means when he tells Anand, "We cannot choose you until you have made a choice yourself." • Discuss Anand's choice to remain in the Silver Valley. What contributes to his final decision? Why does the Brotherhood make him the Keeper of the Conch? • Anand's journey to the Silver Valley reveals important messages about trust, love, and power. How do these messages apply to real life? • Why is Anand the Brotherhood's only hope? How is the Brotherhood Nisha's only hope? What other elements of hope are in the story? • It is a custom in India for an astrologer to write down a baby's Zodiac sign at birth and to make statements regarding the baby's future. Study the characteristics of each sign of the Zodiac, and determine which sign best characterizes Anand. Write the predictions that the astrologer might have written about Anand on the day of his birth. • Anand is fond of Persian fairy tales. Read several different Persian tales and select one that Anand might share with Nisha. Simplify and illustrate the story. • There are many truths and messages in fantasy. Think about what Anand learns about power, and write a letter of advice to the president of the United States or any world leader. • Anand's final test for entrance into the Silver Valley is to answer the following question: Which of these three virtues are the most important: honesty, loyalty, or compassion. Write an essay that explains the relationship between these three virtues. • The Healers in the Brotherhood have different jobs and responsibilities. For example, there are Herbalist Healers and Shape-Changing Healers. Make a list of the various Healers, and write a job description for each. • The Council meets to discuss Nisha because there has never been a woman in the Brotherhood. Conduct a mock Council meeting that deals with Nisha's admission to the Brotherhood. Guide prepared by Pat Scales, Director of Library Services, SC Governor's School for the Arts and Humanities, Greenville. Chitra Banerjee Divakaruni is the author of sixteen books, including Oleander Girl, The Mistress of Spices, Sister of My Heart, Palace of Illusions, One Amazing Thing, and Before We Visit the Goddess. Her work has appeared in The New Yorker, The Atlantic Monthly, and The New York Times, and has won, among other prizes, an American Book Award. 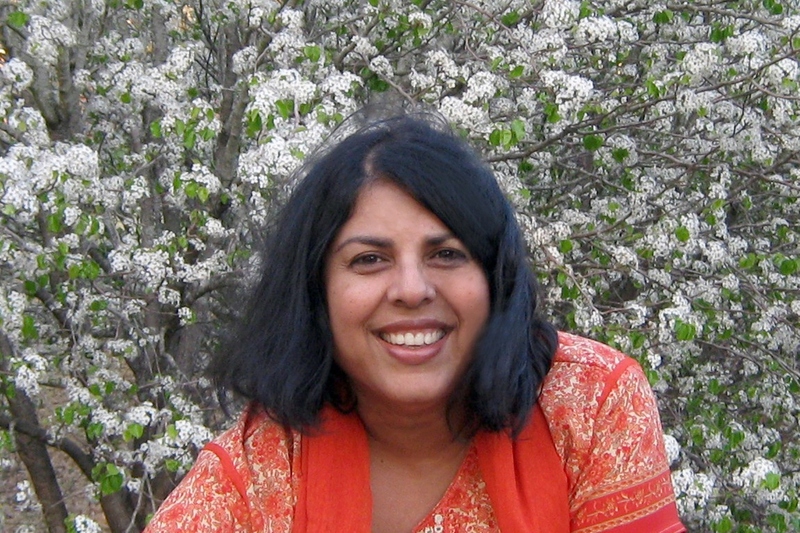 Born in India, she currently lives in Texas and is the McDavid professor of Creative Writing at the University of Houston. "This book is a real page-turner...you'll stay up late to finish it." "Young readers can only hope for more from this master storyteller." "The action is exciting, and the Indian setting makes this story new and different." "Divakaruni [is] a gifted storyteller....Though [she] beguiles us with the sights and sounds of an exotic place, what she really does is make us feel at home."